Kind teacher MISS WENNA PLUMB is arguing with down to earth Policewoman DCI HEATHER WALKER. WENNA tries to hug HEATHER but she shakes her off. Please Heather, don't leave me. I'm sorry Wenna, but I'm looking for somebody a bit more brave. Somebody who faces her fears head on, instead of running away. I am such a person! I'm sorry, Wenna. I just don't feel excited by this relationship anymore. WENNA sits down, looking defeated. Moments later, courageous doctor MR CASPER PARKER barges in looking flustered. Goodness, Casper! Is everything okay? It's ... a vampire ... I saw an evil vampire attack a bunch of babies! Bloomin' heck, Casper! We've got to do something. I agree, but I wouldn't know where to start. You can start by telling me where this happened. CASPER fans himself and begins to wheeze. Focus Casper, focus! Where did it happen? Mall! That's right - Mall! WENNA springs up and begins to run. WENNA rushes along the street, followed by CASPER. They take a short cut through some back gardens, jumping fences along the way. MAUD SWEET a sinister vampire terrorises two babies. WENNA, closely followed by CASPER, rushes towards MAUD, but suddenly stops in her tracks. What is is? What's the matter? That's not just any old vampire, that's Maud Sweet! Who's Maud Sweet? Who's Maud Sweet? Only the most sinister vampire in the universe! Blinkin' knickers, Wenna! We're going to need some help if we're going to stop the most sinister vampire in the universe! I'm going to need stake, lots of stake. Maud turns and sees Wenna and Casper. She grins an evil grin. Wenna Plumb, we meet again. A young WENNA is sitting in a park listening to some piano music, when suddenly a dark shadow casts over her. She looks up and sees MAUD. She takes off her headphones. Would you like some peppermints? WENNA's eyes light up, but then he studies MAUD more closely, and looks uneasy. I don't know, you look kind of sinister. Me? No. I'm not sinister. I'm the least sinister vampire in the world. You were a coward then, and you are a coward now. (To WENNA) You ran away? (To CASPER) I was a young child. What was I supposed to do? I may have run away from you then, but I won't run away this time! She turns back and shouts. I mean, I am running away, but I'll be back - with stake. WENNA and CASPER walk around searching for something. I feel sure I left my stake somewhere around here. Are you sure? It does seem like an odd place to keep deadly stake. You know nothing Casper Parker. We've been searching for ages. I really don't think they're here. Suddenly, MAUD appears, holding a pair of stake. Crikey, Wenna, she's got your stake. Tell me something I don't already know! The earth's circumference at the equator is about 40,075 km. While MAUD is looking at CASPER with disgust, WENNA lunges forward and grabs her deadly stake. He wields them, triumphantly. Prepare to die, you sinister sprout! No please! All I did was attack a bunch of babies! HEATHER enters, unseen by any of the others. I cannot tolerate that kind of behaviour! Those babies were defenceless! Well now they have a defender - and that's me! Wenna Plumb defender of innocent babies. Give me one good reason why I shouldn't use these stake on you right away! Because Wenna, I am your mother. WENNA looks stunned for a few moments, but then collects herself. Ah well, it had to be worth a try. MAUD tries to grab the stake but WENNA dodges out of the way. Who's the mummy now? Huh? Huh? Unexpectedly, MAUD slumps to the ground. I think so. Well that's disappointing. I was rather hoping for a more dramatic conclusion, involving my deadly stake. WENNA crouches over MAUD's body. Be careful, Wenna. It could be a trick. No, it's not a trick. It appears that... It would seem... Maud Sweet is dead! Yes, it appears that I scared her to death. So your stake did save the day, after all. Is it true? Did you kill the sinister vampire? Heather how long have you been...? HEATHER puts her arm around WENNA. Then you saw it for yourself. I killed Maud Sweet. Then the babies are safe? A crowd of vulnerable babies enter, looking relived. The babies bow to WENNA. There is no need to bow to me. I seek no worship. The knowledge that Maud Sweet will never attack babies ever again, is enough for me. You are humble as well as brave! I think they want you to have it, as a symbol of their gratitude. The babies bow their heads once more, and leave. Does this mean you want me back? Oh, Wenna, of course I want you back! WENNA smiles for a few seconds, but then looks defiant. Well you can't have me. You had no faith in me. You had to see my scare a vampire to death before you would believe in me. I don't want a lover like that. Please leave. I want to spend time with the one person who stayed with me through thick and thin - my best friend, Casper. You heard the lady. Now be off with you. Skidaddle! Shoo! I'm sorry Heather, but I think you should skidaddle. Did you mean that? You know ... that I'm your best friend? The two walk off arm in arm. When I said I'm afraid of dust, you know I was just trying to distract the vampire don't you? Created on 10th June 2016. 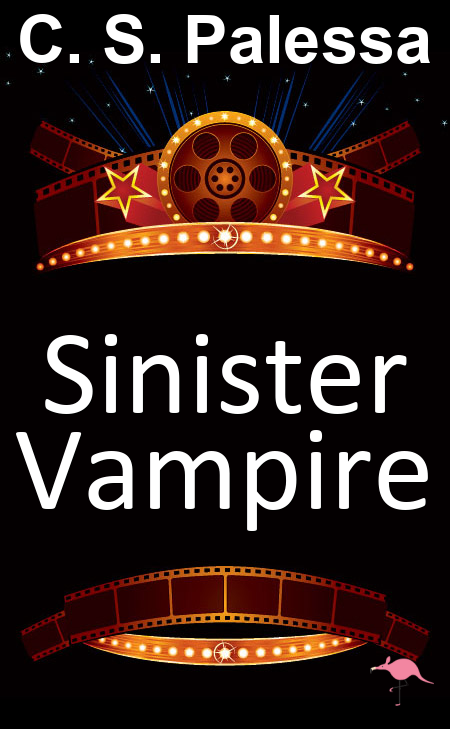 What do you think of Sinister Vampire? We take abuse very seriously. If this page is not suitable for a family audience, then please use the report tool or email writer@plot-generator.org.uk. Note: This plot was generated using input from users and does not necessarily reflect the views of Plot Generator and its programmers.